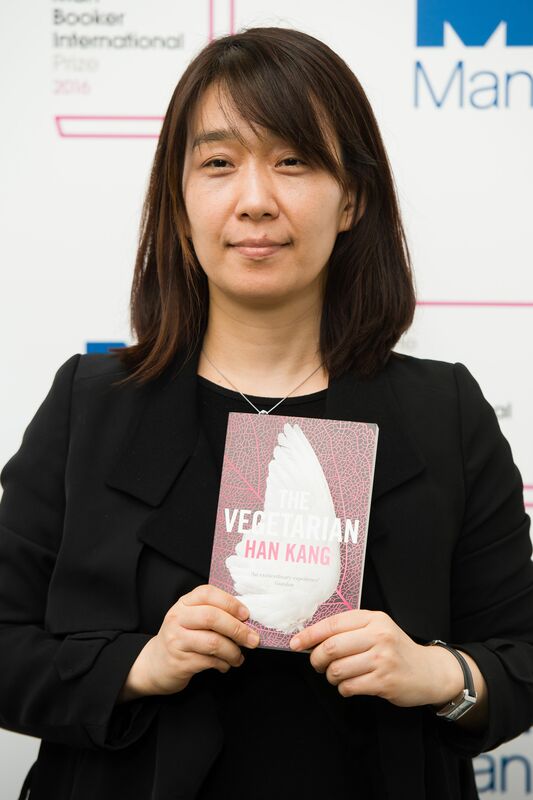 On Monday evening, South Korean author Han Kang and British translator Deborah Smith received the 2016 Man Booker International Prize for best translated novel of the year for The Vegetarian . The pair will split the award's 50,000 pound cash prize. Han Kang, 45, the novel's author, is the first Korean writer to be nominated for the prize, and consequentially, the first Korean to win the prize. She is also the inaugural winner of the newly revamped Man Booker International Prize. Previously, the prize was given to an author for a body of work written in a different language and published in English. Now, the prize is given to the best single title translated into English in the year. Raised in Suyuri in Seoul, Han Kang studied Korean literature at Yonsei University and participated in a University of Iowa International Writing Program in 1998. In 1993, she made her literary debut as a poet when she published five poems in the winter issue of a literary magazine in the country. The next year, her short story collection "The Scarlet Anchor" won the Seoul Shinmun spring literary contest. Since then, she has been awarded the Yi Sang Literary Prize for a novella that was eventually published as part of The Vegetarian, the Today's Young Artist Award, and the Korean Literature Award. The Vegetarian was her first novel translated into English. Currently, she teaches creative writing at the Seoul Institute of the Arts in South Korea. It seems that writing runs in Han Kang's blood; according to her Goodreads profile, she is the daughter of a fellow novelist, Han Seung-won. The novel's translator, Deborah Smith, is a 28-year-old British woman who only began learning Korean seven years ago at the age of 21. She became an English-Korean translator after completing her undergraduate degree, and she has since founded her own publishing house, Tilted Axis Press, which focuses on translating works from Asia and Africa. Smith also translated Han Kang's novel Human Acts, a story about Gwangju Uprising and its aftermath.